WiTricity, the industry pioneer in wireless power transfer, today announced the acquisition from Qualcomm Incorporated and Qualcomm Technologies, Inc. of certain technology platform and IP assets, which will bring over 1,500 patents and patent applications related to wireless charging that WiTricity will own or control. Through the transaction, Qualcomm Incorporated will become a minority WiTricity shareholder. This acquisition will streamline technology development that enables automakers to deliver an EV charging experience that is seamless and efficient. 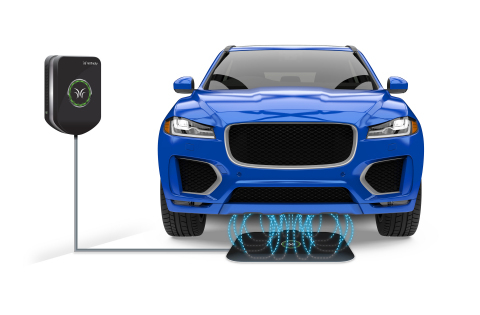 By simply parking over wireless charging ground pads located at home, in garages, and public parking spots, EV drivers will be able to recharge hands-free, without the need for any bulky cables, virtually eliminating the need to ever plug in. Additionally, electrified autonomous vehicle (AV) fleets will require wireless charging since there will be no human drivers present to plug in. With all major car manufacturers and climate-focused nations like China racing to phase out internal combustion vehicles, the global electric vehicle market is at a tipping point. It is estimated that more than 120 million EVs will be on the road by 2030 with over $50 billion being invested in charging infrastructure. By 2040, 200 million EVs will be on the road in China alone; and globally, 559 million -- or a third of all cars. All of these could be charged simply and wirelessly with WiTricity’s unique technology. WiTricity technology licensing agreements have been announced with Toyota, Aptiv (formerly Delphi), Mahle, TDK, IHI, Shindengen, Daihen, BRUSA, and Anjie Wireless. Global corporate investors now include Qualcomm, Toyota, Intel Capital, Delta Electronics Capital, Foxconn, Haier, and Schlumberger. WiTricity is also collaborating directly with leading carmakers to drive global standards for wireless charging systems. Standards initiatives include the SAE International, International Electrotechnical Commission (IEC), International Organization for Standardization (ISO), STILLE, China Automotive Technology & Research Center (CATARC), China Electricity Council and the Chinese Electric Power Research Institute (CEPRI).